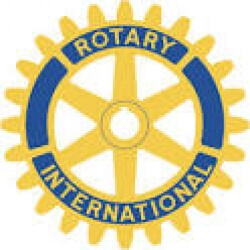 Rotary International is an international service organization whose stated human rights purpose is to bring together business and professional leaders in order to provide humanitarian services, encourage high ethical standards in all vocations, and to advance goodwill and peace around the world. It is a secular organization open to all people regardless of race, color, creed, religion, gender, or political preference. There are 34,282 member clubs worldwide. 1.2 million individuals called Rotarians have joined these clubs. Rotarians usually gather weekly for breakfast, lunch, or dinner to fulfill their first guiding principle to develop friendships as an opportunity for service. "It is the duty of all Rotarians," states their Manual of Procedure, "outside their clubs, to be active as individuals in as many legally constituted groups and organizations as possible to promote, not only in words but through exemplary dedication, awareness of the dignity of all people and the respect of the consequent human rights of the individual." The Rotarian's primary motto is "Service Above Self"; its secondary motto is "One profits most who serves best."